The purpose of this book is to allow you to understand the sacred nature of your own physical body and some of the magnificent gifts it offers you. When you work with your physical body in these new ways, you will discover not only its sacredness, but how it is compatible with Mother Earth, the animals, the plants, even the nearby planets, all of which you now recognize as being sacred in nature. It is important to feel the value of oneself physically before one can have any lasting physical impact on the world. The less you think of yourself physically, the less likely your physical impact on the world will be sustained by Mother Earth. If a physical energy does not feel good about itself, it will usually be resolved; other physical or spiritual energies will dissolve it because it is unnatural. 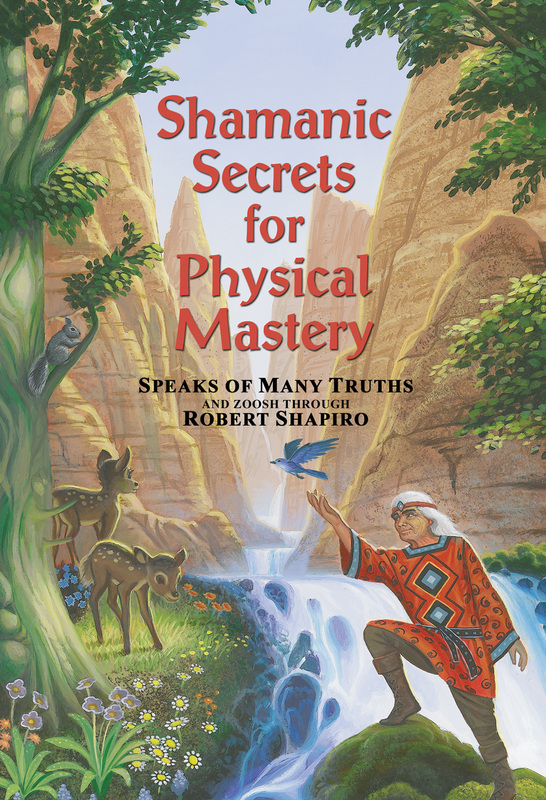 The better you feel about your physical self when you do the work in the previous book, Shamanic Secrets for Material Mastery, as well as in this one and the one to follow, the greater and more lasting will be the benevolent effect on your life, on the lives of those around you, and ultimately, on your planet and universe. Submitted by Eagle Spirit on Wed, 10/29/2008 - 19:43. Most powerful shamans are very secretive. They give lectures, they initiate the spiritually elite, and they bless and maybe curse. But they don't usually write books that divulge their secrets. This guy is different, He has the cojones and compassion to share a lot of deep secrets with the world. In this book he talks about life-the hidden side. He gives real world practical advice on how to pray better, how to think right, how to get in touch with your feelings, how to get free, how to really love and how to heal yourself, other people, inanimate things and the planet we live on. Much of this book is dedicated to teaching powerful shamanic hand gestures-mudras that activate self (and other) healing energies within the body/mind/soul complex. There are mudras for healing fear, hatred, trauma held in the body, feelings of isolation, feelings of rejection, and much much more. He even has compassion for rapists and gives a mudra for healing/changing the rapacious mentality. If you are interested in powerful transformative shamanic healing techniques that will change your life for the better, than I enthusiastically recommend this book..Let’s create a better, more harmonious, happier world.